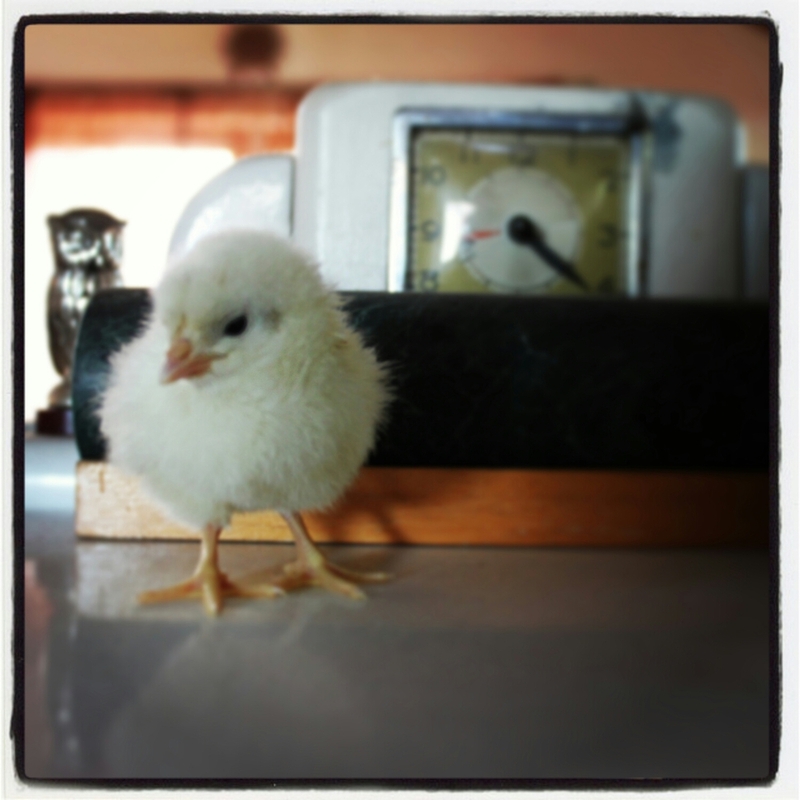 Last month we lent an incubator and some fertile eggs to a class at the girls' school. They managed to hatch out one solitary little ball of yellow fluff, much to the delight of the kids involved. The teacher, who didn't want to be responsible beyond the hatching, gave her back soon after she emerged and we've been using her to torture the dogs. Falcor has a long history of chicken wrangling, and by that I mean he took care of our last batch of babies, back in August. He is infinity patient and gentle while herding them around. As is his birthright. Fezzik, however, he's a different story. Considering he spent some of his early days on the streets, he sees the chick as dinner. OK, a snack; it's really too small for "dinner." But anytime wings flap or her little body scurries across the floor, he wants to put that thing in his mouth. NOW! We've been getting him acquainted but it required a couple gentle bops to the nose, resulting in a rather confused dog. Considering we have never hit him, it must be the chick who controls these startling bops to the nose from his beloved humans. So how does this tiny thing have so much power? He spends hours every day trying to figure just this out. Meanwhile, all we have to do is wave a chick in his general direction and he goes scurrying to his crate. It's hard not to abuse such power. But considering Fezzik has already been the cause of one full-grown-hen death, we're trying to change the input so we don't have another repeat of slaughter. It's a balance. And honestly, one we're just figuring out. What say you, interwebs? How would you teach a dog not to eat the livestock?